Rated 5 out of 5 by Jimbo from Effective and versatile!! 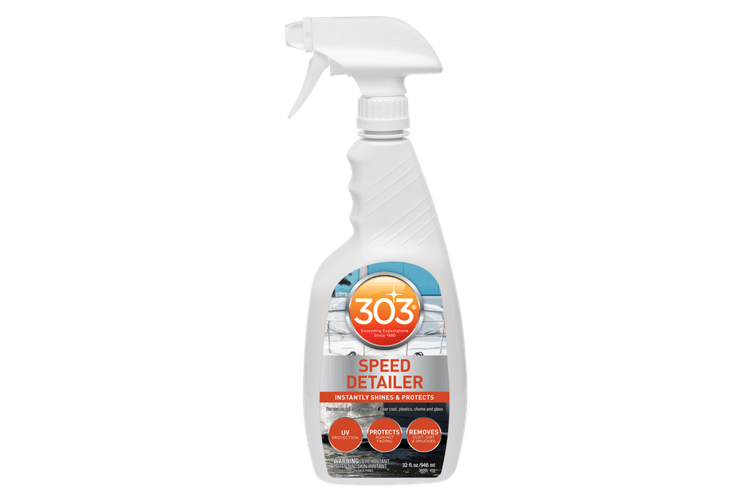 I use 303 on my car's non metal exterior like mirror housing and grill surrounds, the truck bed and Tonneau cover, car seats and especially the dashboard. It's also great for items left outside. It will add life to the things I enjoy so much. Better than Armor All. Rated 4 out of 5 by Alden from Nice protectant! 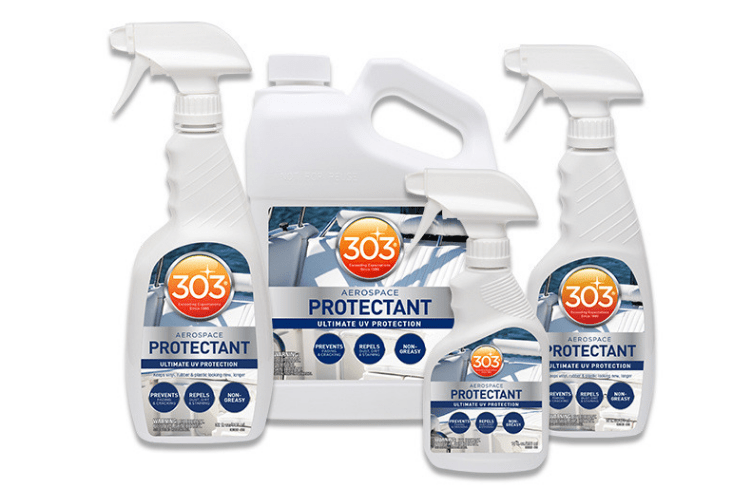 I bought the 303 protectant at the suggestion of my boat dealer to use on my new pontoon boat seats, I like the way it protects the seats from the sun and it seems to help prevent mildew growth when I have the mooring cover on too. Rated 4 out of 5 by Turner0923 from Marine protectant works great for my jet ski! 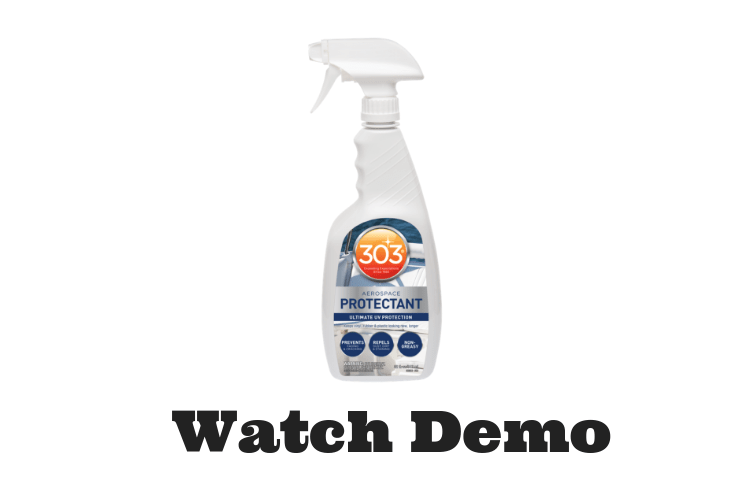 The 303 marine protectant worked great on my jet ski afte a weekend in the sun and salt water. Took only minutes to apply and the finish looks great. I recommend this product and will continue to use it. 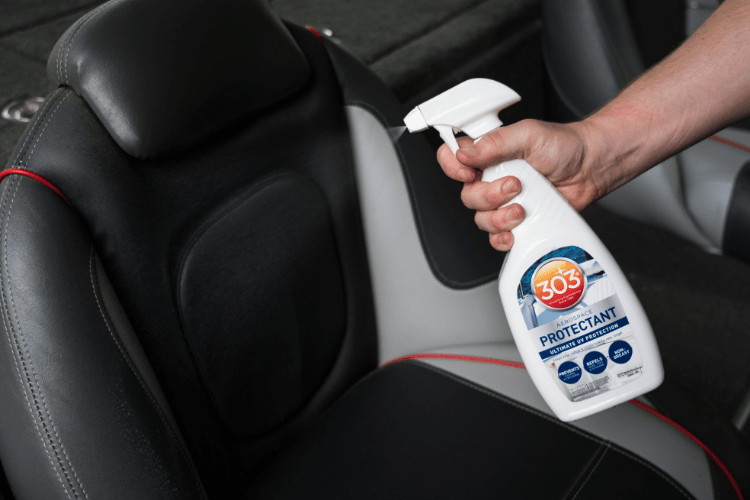 Rated 5 out of 5 by Bobsch from Works great I use this on my boats and cars.It is the best product I have used to protect the tires and interiors of my cars. 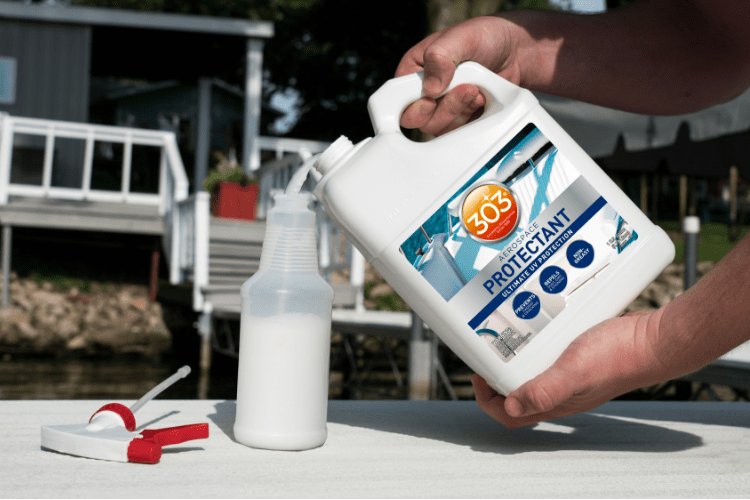 Also keeps all of the boat vinyl looking great and protects for UV damage. 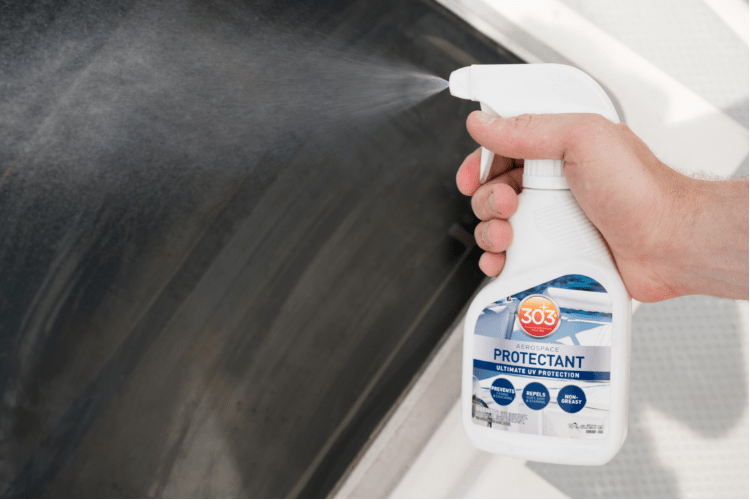 Rated 5 out of 5 by OH3Cobra from great protectant - NON Greasy This has been a great product for my boat and my cars. The sheen is perfect, the protection a safety net, and all in a non greasy formula that I don't mind touching. Rated 5 out of 5 by Jgm1 from Works great Used on boat upholstery, sprayed on and wiped off. Seats look and feel like new again. We will be taking boat to lake soon and will see how it holds up in use. Rated 5 out of 5 by Andy P from Best there is I have tried many protectants and this hands down the Best of the bunch. I use it on my boat,kayak,jeep,Harley and anything else I can use it on. Rated 5 out of 5 by rmk1 from Does what it says That is as good as it gets when a product actually does what it says. I use it on my jet skies and have really arrested any fading. Rated 5 out of 5 by BUDDY from Just in time Received just in time to use on my new boat. 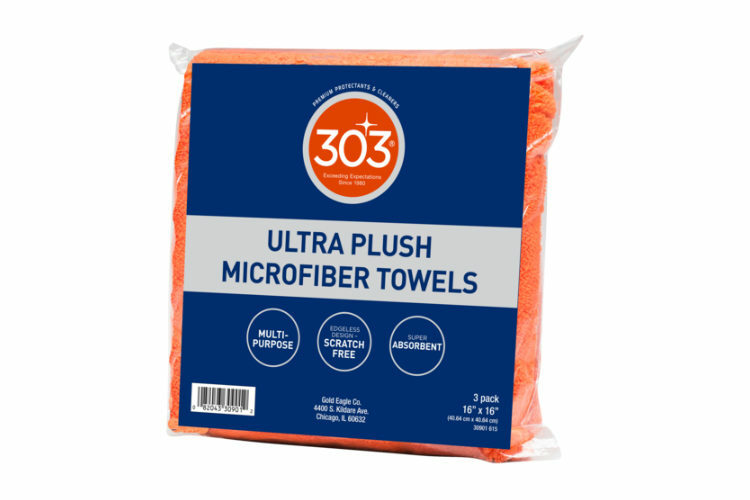 I'm sure this product will exceed my expectations as all 303 products do. Rated 5 out of 5 by nozzle from Marine formula....top notch I used this on all the vinyl and plastic surfaces on my boat. T-top, cushions, dash and Rub rails all look new. Rated 5 out of 5 by River rat from Great product Use this product on my boats vinyl.Cleans great and leaves a nice non greasy finish. 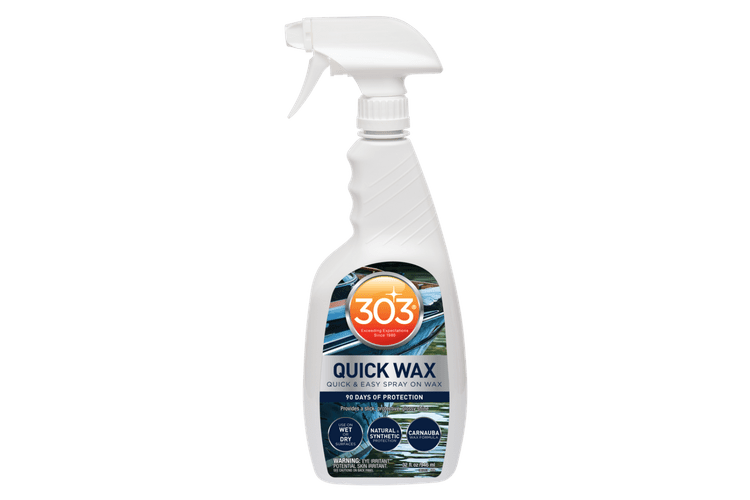 Rated 5 out of 5 by R055 from Works great on everything I use on boat seats and tires, works great protecting your invesments from the sun. 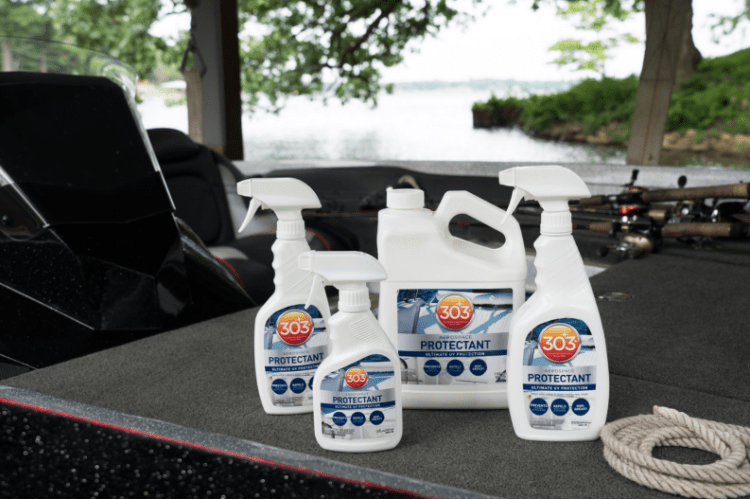 Rated 5 out of 5 by Car collector from great product started using this product on my boat and very happy with the outcome. Rated 5 out of 5 by Rs1mw from Amazing product, worked great on boat 303 products amaze me. Their technology is amazing!